French music festival comes to Kensington to celebrate summer and Toronto's joie de vivre. 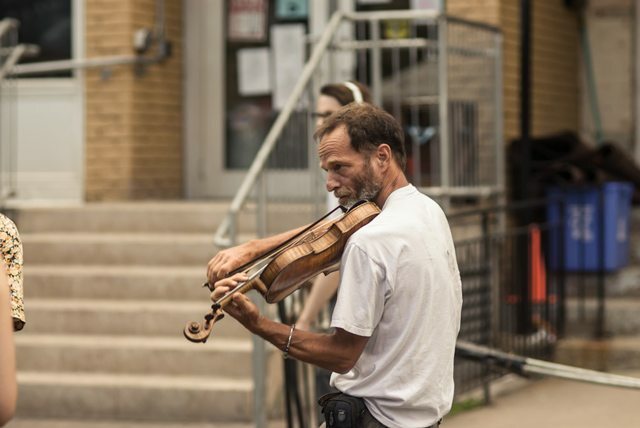 At the corner of College Street and Augusta Avenue, a jazzy rendition of “Girl From Ipanema” cooled down pedestrians in Thursday’s midday heat. French chatter melodically mixed in with the snapping of cameras and the whooshing of streetcars passing by, the city playing its own tune. Fête de la Musique came to Kensington Market yesterday and brought with it a score of free music and French festivity. Organized by Alliance Française, an organization that promotes French language and Francophone cultures, Fête de la Musique is now in its eighth year in Toronto, although this is the first time it has been held outdoors. The origins of the event go back 30 years, to Paris; the festival has since expanded to over 100 countries and always takes place on June 21, the summer solstice. The date harmonizes well with Kensington Market, which annually hosts a winter solstice parade and lacked an introductory summer event this year. The guiding idea behind Fête de la Musique is that music should be universally accessible and anyone can play music in the street. 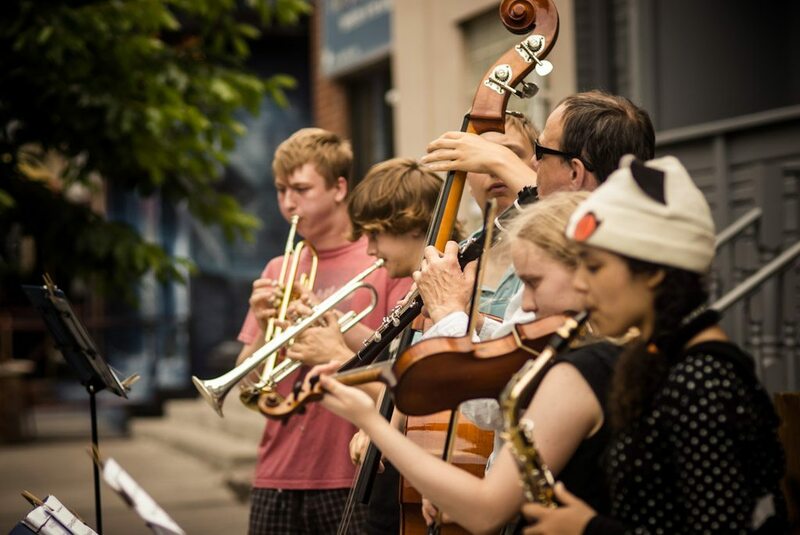 Toronto’s jamboree had 30 to 40 musicians and groups, ranging from high school students from the French school board, to subway musicians, playing the top of Augusta Street from noon to 8 p.m. In the evening, as rain started to fall, the event was brought inside the restaurant Waterfalls, and culminated with three bands playing for several more hours. 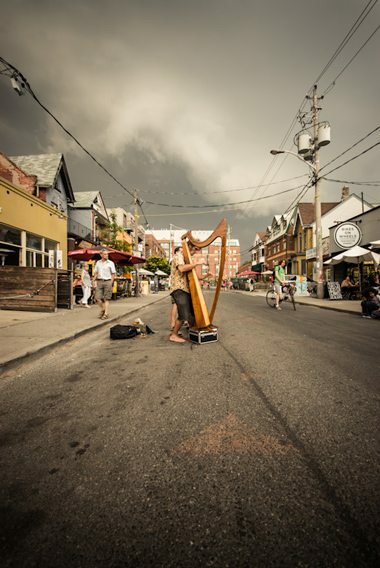 Given Toronto’s love of arts festivals, it’s a natural and vibrant addition to the city’s calendar. Dominique Denis, the artistic director of Alliance Française Toronto, said that the Kensington BIA has been a big help in putting together the Fête and the Fondation franco-ontarienne is its largest supporter. Currently absent from the mix is the municipal government, which considered putting some resources into the Fête a few years ago but ultimately decided against it. (There are, to be sure, many more applicants than the City can support—that year, according to Denis, the City was weighing funding for the Fête as well as Nuit Blanche; ultimately, Nuit Blanche won out.) Denis thinks the festival would have a great deal of room to grow if the City did ever choose to support it, though. Lili Holm sat on the steps on the southwest corner of Augusta Avenue and bobbed her head a bit while waiting for her boyfriend to show up. She didn’t know that the 21st was Fête de la Musique, but she was glad to have stumbled upon it. She thought that expanding it city-wide would be a great idea. “It’s a nice fit for summer,” she said.